As Philadelphia's Hometown mattress chain since 1973, we treasure our historic city's heritage. We are proud to say that Therapedic, the makers of BackSense® mattresses, have decided to honor our great city with the names of their Liberty Mattress Collection. 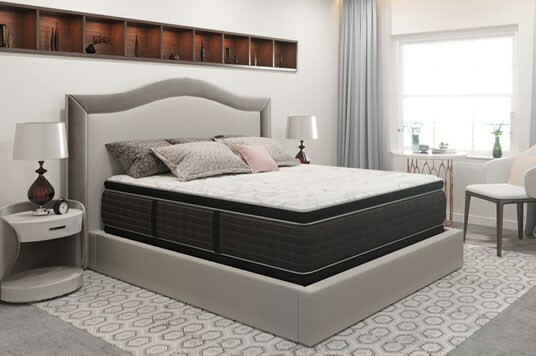 Made locally in New Jersey, and sold exclusively by The Mattress Factory, the Ardmore, Devon, and Liberty Pillowtop models have the benefit of the Hourglass Back Support® System. This feature provides additional firmness for the areas of you body that need it most - shoulders, hips and lumbar zone. Celebrate our hometown, and wake up rested and restored! The Eclipse Chiropractors Care line was designed specifically to provide quality back support for the value conscious shopper. No other line provides the quality, durability, support and attention to detail of the Chiropractors Care line at these price levels. We feel that the combination of heavy duty springs and hi density padding make this the best value line in the USA! 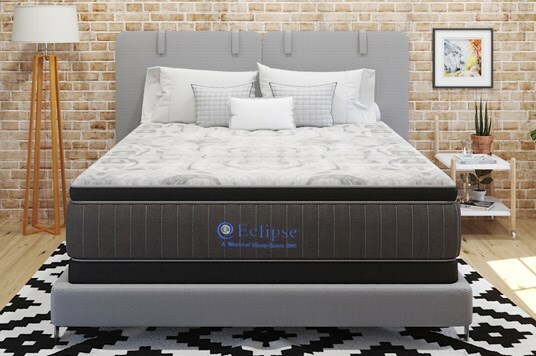 Eclipse International was founded in 1905 and is the only mattress brand endorsed by the Congress of Chiropractic State Associations. Heavy Duty High Profile Innerspring Design for long lasting support. Congress of Chiropractors Seal of Approval. Patented Allergy Free Design that effectively eliminates the problem of dust mites and other micro-organisms from entering the mattress. Patented LifeEdge perimeter support system.